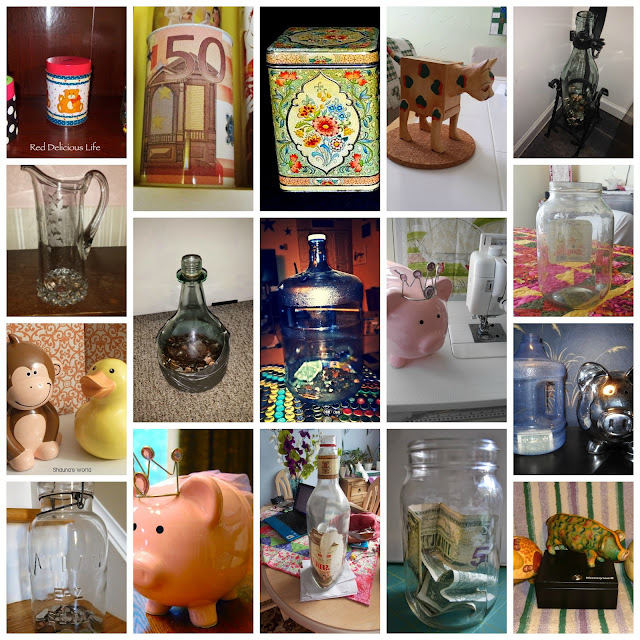 Val's Quilting Studio : Attention Piggy Bank Challenge Participants! oh dear I think I poor little piggy bank might not be too full! So like the tin can with the 50 euro note on though in the collage!